You would be gambling to reuse the old cylinder as others have stated too. Sandblasting the bore -not good. Honing -depends who and how it was done. If not done correctly, out-of-roundness and taper will occur. Was the bore measured using a precision dial bore gage? The cylinder blueprint bore finish spec is 80 µm. A new cylinder costs $120. Maybe better planning was needed so you could have saved a little each month til affordable rather than attempting to do it all at once? I know this can be difficult to do when on a limited income as emergencies arise that require the extra funds be used for them. This is one job that the old Dr.Demming mantra for manufacturing applies ever so much, "Do The Job Right The First Time". If you haven't already purchased the gasket kit and O-Ring piston, I have some new unused ones I'd let you have at cost. Thanks. I don't know why my BIL would sand blast the inside of the cylinder; he should have known better. I don't own a set of calipers; something on the list to get. I have the gasket kit; it was Kumar Bros, USA. I will continue on with the repair. I haven't seen the cylinder in the tractor yet. I did get a new relief valve as the one in the tractor might be original for all I know. If it takes a bit longer to get the tractor back that is OK; Last day of frost here is actually around April 15. What's Kumar Bros? No matter. Dial calipers will only get a ballpark measurement. They won't tell you out-of-roundness very well at all, and certainly won't measure taper. Only a dial bore gage will be precise enough. Calipers are good to have regardless and dial bore gages are not something everyone would have anyway unless they have their shop and such. Telescoping gages will work somewhat but you still need a set of them and micrometers. A good local machine/engine rebuild shop should have all those gages. 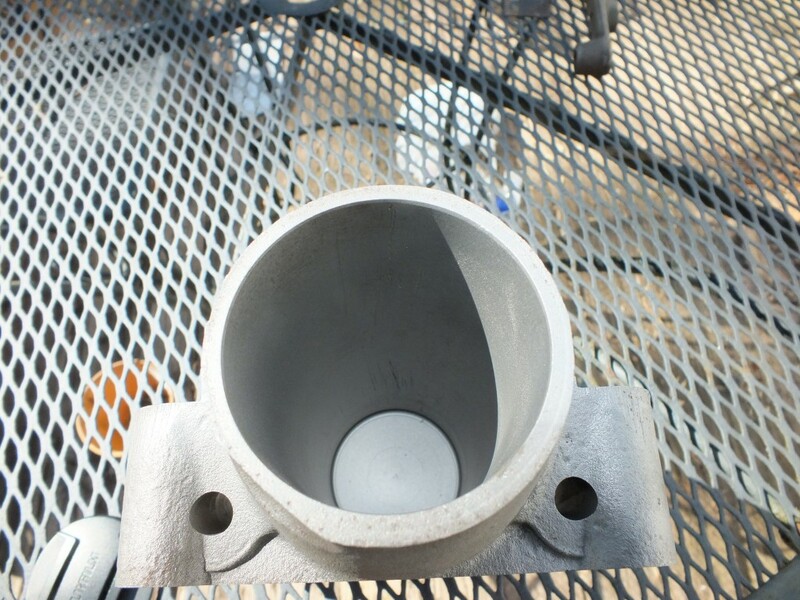 I suspect you are going to go ahead and use the old cylinder anyway after all the advice given, so i would suggest if so, take some medium grit Scotch Brite and smooth out the bore surface a bit. Don't sand or hone anymore. You plan on using the FO-4 Manual don't you? "The cylinder blueprint bore finish spec is 80 µm"
Yikes!! You sure about that? Aside from the fact that is a metric specification it's a rather rough finish. I don't have a factory surface finish for the NAA cylinder in my notes but the surface finish for the piston o-ring groove was specified as 100Ra. No units specified but given place, time, application, and magnitude I would assume units to be in uin, e.g. equivalent to Ra = 2.54um. Modern practice for reciprocating hydraulic cylinder bores is a surface finish of Ra = 4-20uin (.1-.4um). Ooooppppsss. Yep, I misread my hand notes. The milled mounting surface is shown as 125√, typical. The bore micro-finish is shown as 63√. That looks new compared to the one in my NAA. I got a new O-ring and honed the cylinder but was afraid of getting it to big. Still had more scratches than yours. After 20 years, it still works good. It will slowly sink, (maybe 10 minutes) with a very heavy blade on it, but not getting any worst. Your tractor, your money. I would use it. 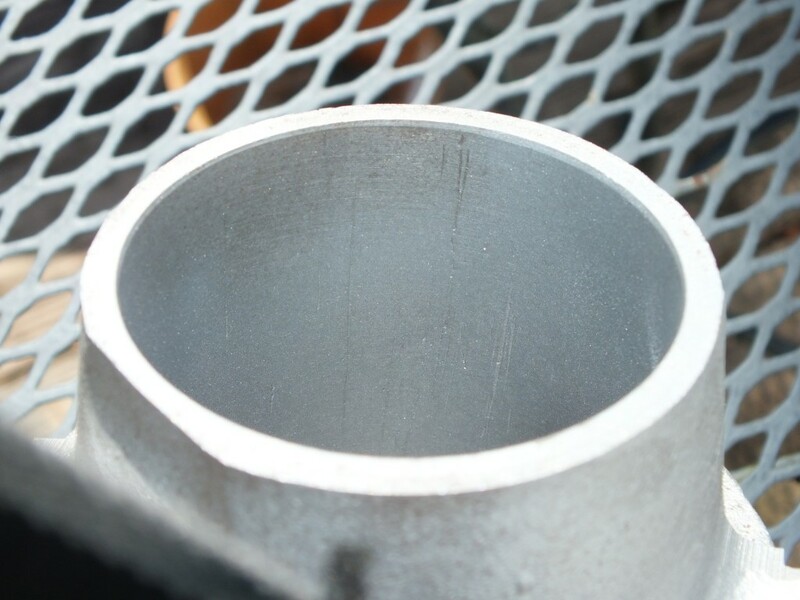 It i impossible to evaluate the condition of your cylinder from a picture. I can see the scratches but I can't measure the bore or evaluate the depth and roughness of the scratches. O-rings really don't like rough surfaces and it appears you hit that with cylinder with some sort of abrasive cleaner. I would be more concerned about that than the scratches so at a minimum polish it well before reusing it. If it were mine I'd be inclined to postpone reassembly until I could round up the money for a new one because I simply wouldn't want to have to redo the job anytime soon. But that is something you will have to evaluate for your personal situation. That said, if you did have to go back in you are equipped and experienced so it would not be a horribly demanding or expensive job. Last year when I reworked the hydraulics on one of my 8n's, I ordered aa new cylinders, piston o ring from this site. I was disappointed to see the finish of the bore, especially since I was using the o ring instead of steel rings. It took a lot of polishing before I felt comfortable with using it. It was not what I was expecting to find. Yes, I took the cylinder to my BIL be cleaned; I only wanted the outside to be done but I failed to mention that and when I picked it up the inside had also been done with the sand blaster. It would probably be wise to figure out how to get a new worked into my budget. And I can take the old one to the scrap yard for a couple of dollars. No, I really don't want to be going back into the lift for some time if at all. If I do this right, I shouldn't have to go back into the lift during the rest of my time on the planet.